The Northern Leg stopped at Portsmouth Elementary School on Friday afternoon. Waiting for the Reds in the school gymnasium were over 500 fourth, fifth and sixth graders from Portsmouth and Notre Dame Elementary schools. 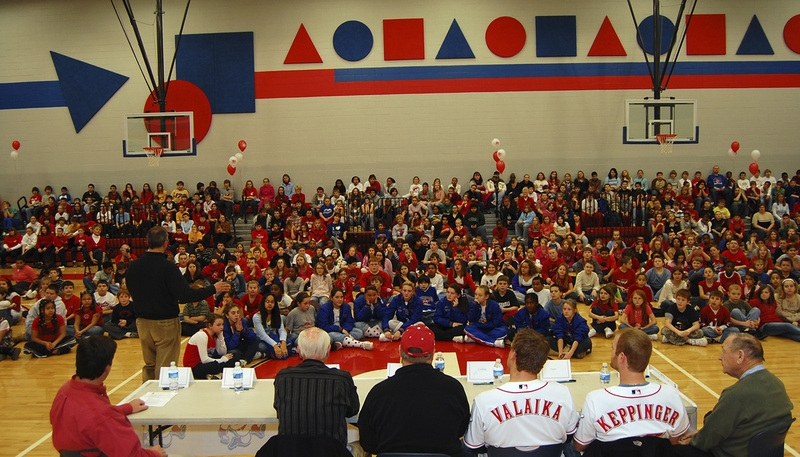 The students greeted their Reds guests with a deafening roar and enjoyed the chance to ask questions. 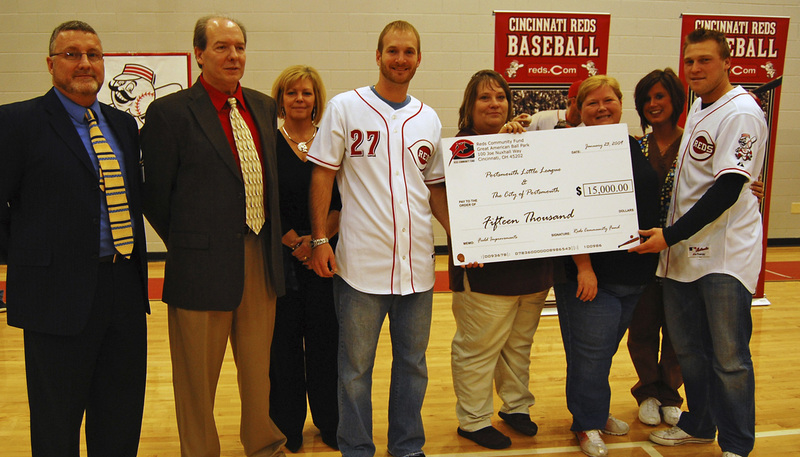 The festivities included a $15,000 check presentation from the Reds Community Fund to the City of Portsmouth and Portsmouth Little League for field improvements at the Labold baseball complex. 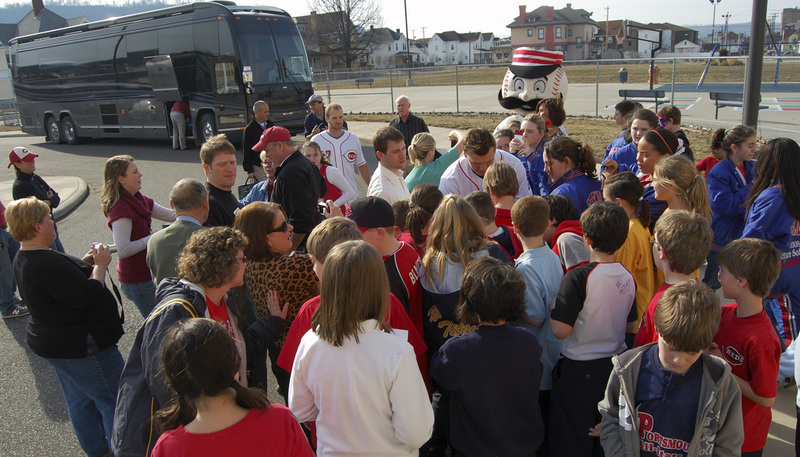 As the Caravan was about to board the bus, they had a chance to sign a few autographs for members of the Portsmouth Girls Little League softball team who last year won the 9-10 year-old division of the 2008 State Softball Championship.